Improve registration accuracy by verifying patient identity and contact information. Validate patient demographic data up front to ensure accurate information, help reduce medical theft, prevent duplicate medical records and aid HIPAA compliance. Verify and update patient identity and demographic information in real time to streamline the registration process. Confirm an address is a known location formatted to meet United States Postal Service standards and correctly matched to a patient’s name. Enhance compliance with Red Flag regulations and assure patients that their health records are in trusted hands. Utilizing accurate patient identity and contact information in the patient financial clearance process can help reduce costs associated with billing delays, errors and duplicate medical records. 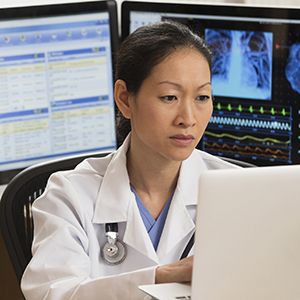 Improve patient identity verification results with comprehensive data sources. Verify patient identity and demographic information — including name, address, Social Security number and date of birth — against our comprehensive data sources, and help fulfill the FTC Red Flags Rule requirement.